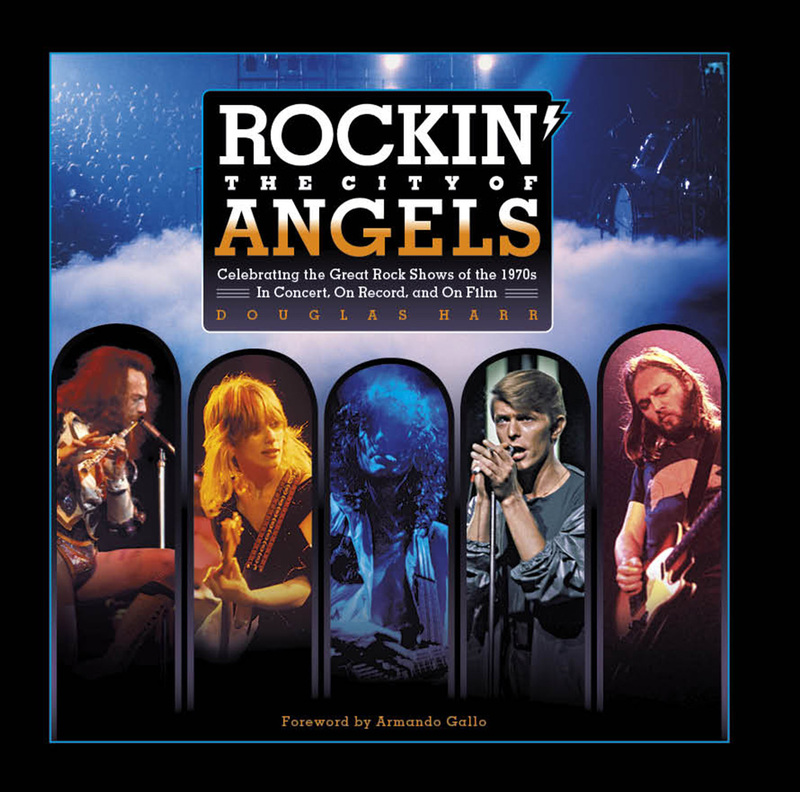 PROG ROCK MUSIC TALK: New Book By Douglas Harr “Rockin' The City of Angels” Feat. Stunning Images & Memorabilia of Led Zeppelin, Queen, David Bowie, Jethro Tull, Pink Floyd, The Who, Yes and Others! 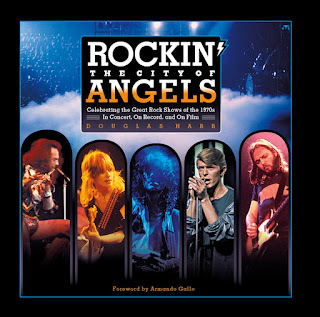 New Book By Douglas Harr “Rockin' The City of Angels” Feat. Stunning Images & Memorabilia of Led Zeppelin, Queen, David Bowie, Jethro Tull, Pink Floyd, The Who, Yes and Others! London - Concert culture in Los Angeles, the City of Angels, in the 1970s had all the lush opulence of theater, the virtuosic chops of a classical performance, and the edge-of-your-seat excitement of rock n’ roll. First-time author, and lifelong music fanatic, Douglas Harr’s Rockin’ The City Of Angels: Celebrating the Great Rock Shows of the 1970s In Concert, On Record and On Film brings to life all the classic majesty in real time. This collection of over 500 stunning images is carefully culled from the premiere practitioners of fine art photography, covering a refreshingly broad cross section of 1970s iconic artists. RTCOA celebrates more than thirty incredible performances, including key tours by bands such as Led Zeppelin, Queen, David Bowie, Fleetwood Mac, Genesis, Heart, Jethro Tull, Pink Floyd, The Who and Yes. These myth-making moments are presented here by a hand-picked collection of brilliant images by the best photojournalists of that time, including Richard E. Aaron, Jorgen Angel, Fin Costello, Armando Gallo, Neal Preston, Jim Summaria, Lisa Tanner and Neil Zlowzower among many others. “I spent 2 years in basements, agencies, and sometimes bands' homes, combing through hundreds of slides to find the best concert photos from that time, now so long ago,” Harr shares. In addition, RTCOA includes written commentary reflecting on these legendary concerts with reviews of the best concert video documents filmed during the era.